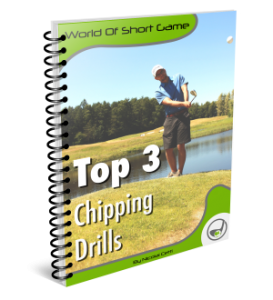 Do you have difficulties with the contact of your chip or pitch shots? Then it is likely that the way you swing the club back and forth causes theses problems. The swing planet is the “way” we would like to swing the club when chipping and pitching. The swing plane is the angle the shaft creates at setup. (see Figure 1). Exactly what this angle depends on many things and are not the essential. The essential thing is that the club head moves along this plane in the backswing, and on the way down again. Why is it important to swing on plane? The contact with the ball will be easier. You are much more likely to use the club properly if you swing on plane. 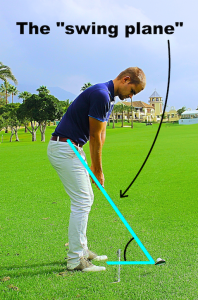 A wedge is designed to help you if you hit a bit too early in the ground, and this help is reduced if you do not swing the club right back and forth. You have greater chance of being creative with your chip and pitch shots. With creativity I mean changing the height of the shot, and how much spin you hit. Unfortunately, the lie is not always perfect when chipping or pitching, and you need to be able to adapt to this. If you swing the club on plane, you have way better chances to adapt your swing to fit the many different lies you get when playing golf. 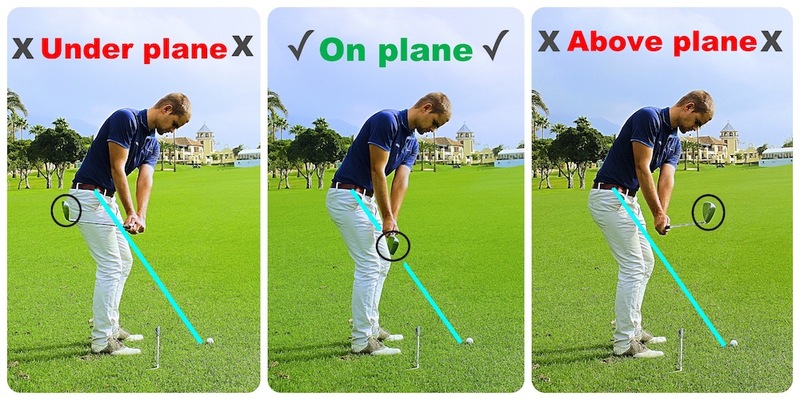 How do you know if you swing on plane? There are several ways to check your own chipping and pitching motion. 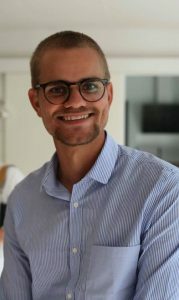 The easiest way is to use your phone, which is likely to have a camera built-in. Get a friend to hold the camera so it is located in the same line as the club lying on the ground. Compare the recorded video and see how the club head moves back and forth. Use picture 2, 3 and 4 as reference points.